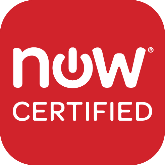 Planning to be in Orlando, Florida from May 6-11 for ServiceNow Knowledge 17? 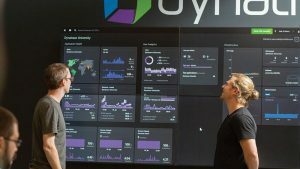 If so, be sure to visit the Dynatrace team at booth #602 for a demonstration of how Dynatrace detects service performance and availability problems in real time. This year’s ServiceNow Knowledge conference focuses on limiting downtime, intelligent performance analytics, and taking control of cloud resources. This is why this year’s event provides the perfect context for demonstrating the latest Dynatrace full-stack monitoring and auto-discovery integration built for ServiceNow environments. 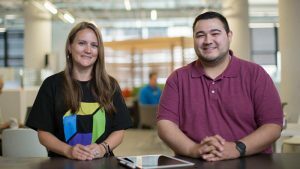 Using artificial intelligence problem detection and causation analysis, Dynatrace has redefined monitoring just as ServiceNow has redefined how teams and organizations work together. By seamlessly combining both tools, you will benefit from full insights and code-level visibility into your application and services technology stack. Dynatrace patented OneAgent technology auto-discovers all your services and applications out-of-the-box with no required configuration. 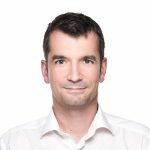 Only Dynatrace OneAgent can provide visibility into modern microservices architectures, which are highly dynamic and often deployed to cloud platforms. OneAgent automatically discovers all topological relationships and dependencies in your environment, and traces each individual transaction that flows through your environment. In this way, Dynatrace automatically learns the baseline performance and behavior of your entire environment, and quickly alerts you when performance anomalies are detected. The Dynatrace booth demo at this year’s ServiceNow Knowledge conference shows how to get the most out of your ServiceNow workflow and operations management by feeding Dynatrace auto-discovered information. 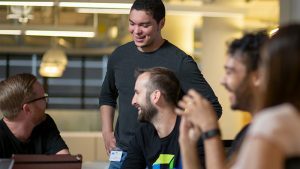 You’ll see how Dynatrace automatically discovers all the software services running on your application servers, along with all service-call relationships. 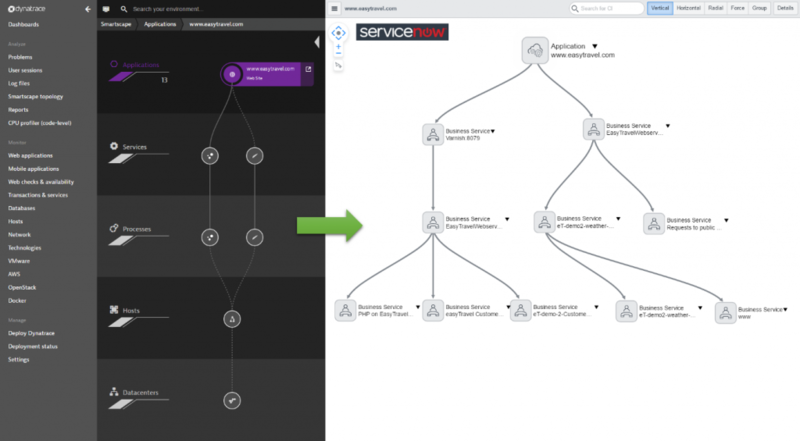 Your ServiceNow service dependency map is filled in automatically with real-time communication detail about the software services in your environment. 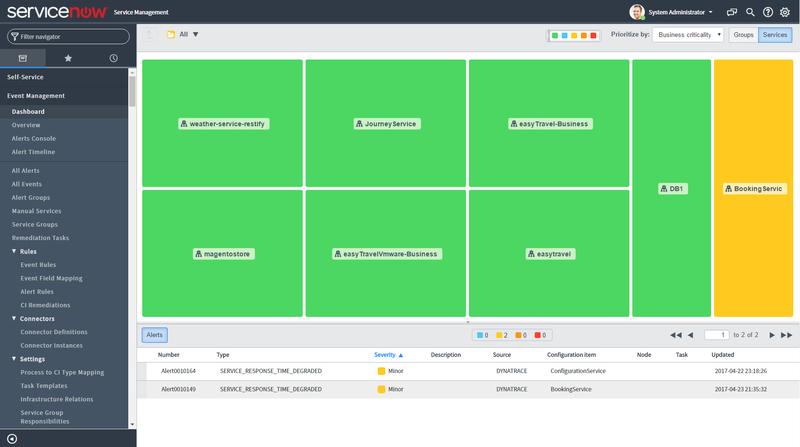 We will also showcase a new Dynatrace feature that enables ServiceNow users to automatically populate their operations management dashboards with real-time data, thereby minimizing downtime. Dynatrace real-time operations information simplifies remediation of critical situations within your complex IT environments. All operations events that are auto-discovered by Dynatrace are automatically fed to the relevant CMDB CIs (see example below). A click on the BookingService event on the above dashboard reveals the complex dependency structure that underlies this mission-critical service. 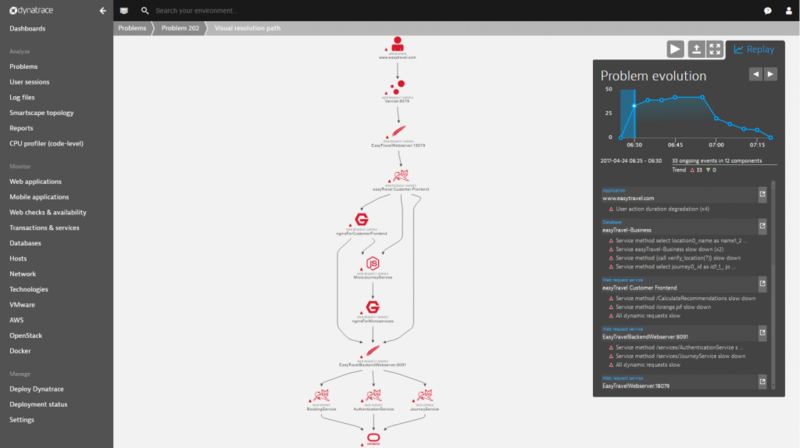 Unlike other monitoring solutions, Dynatrace automatically detects all complex dependencies in real time. When an abnormal situation is detected (for example, the response-time degradation event in the above example), Dynatrace provides detailed root-cause analysis information that your developers can use to quickly resolve the issue. As Dynatrace stores each individual transaction and all related performance metrics, you can replay each detected problem to see how it impacted your customers and related entities over time. For more insights on the value of Dynatrace proactive problem detection and resolution capabilities please visit the ServiceNow integration page and view this video featuring our customer Coop Denmark.